London has sold Saudi Arabia missiles and weapons in billions to use in Yemen under an opaque licensing system that makes tracking arms sales difficult, accusing the government of trying to hide the size of its arms exports to the Saudis, the Guardian newspaper reported. The information uncovered by the newspaper confirmed that during the past five years the missiles were sold to Saudi Arabia under the so-called “open export licenses” usually used for less sensitive materials, which does not require the seller to obtain prior approval for each export. 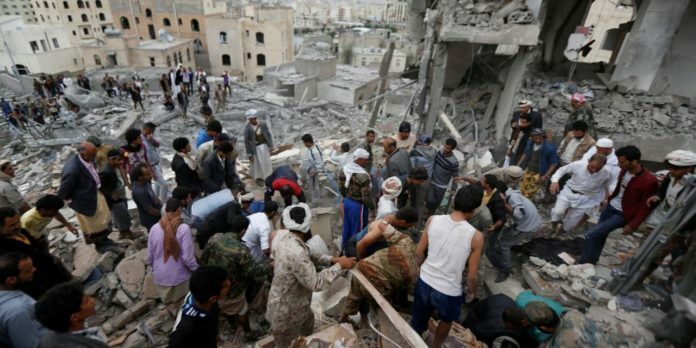 The article added that the war on Yemen is being run by British, American and French weapons, military training and advice, and diplomatic sponsorship from the West. “So the suffering continues to escalate and destabilize this unstable region, provoking ridicule and anger toward the West, and its talk of human rights and international law. If complicity seems to be denied, the events of the last days have been revealed,” it concluded.